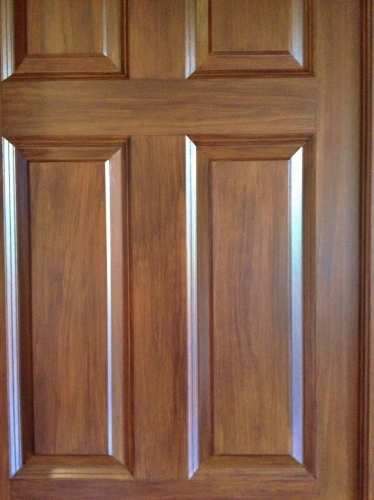 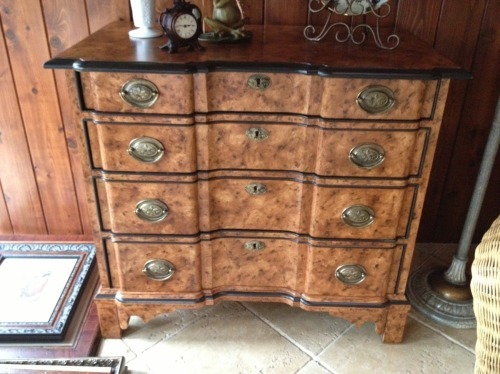 Cabinet was painted in a faux burl woodgrain to match antique Beidermeier desk. 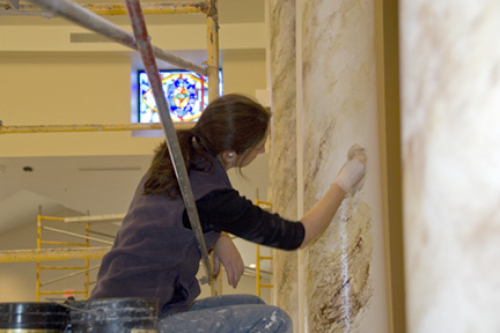 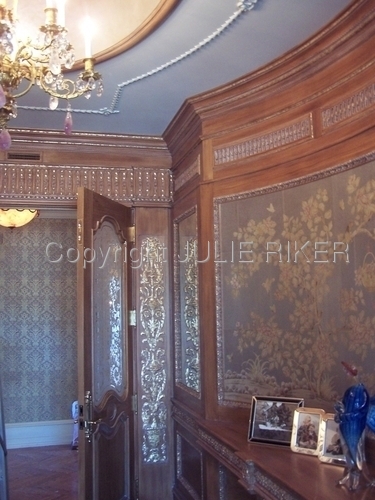 Plaster and composite surfaces were painted to look like wood and detail elements highlighted in gold leaf. 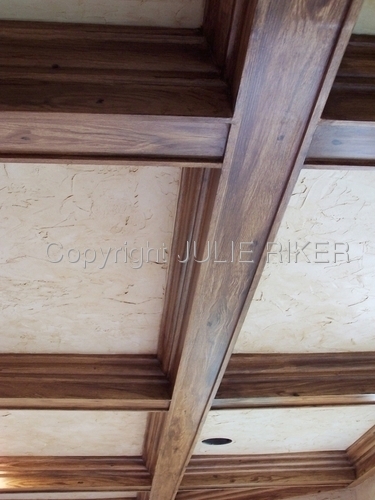 Faux woodgraining on ceiling beams. 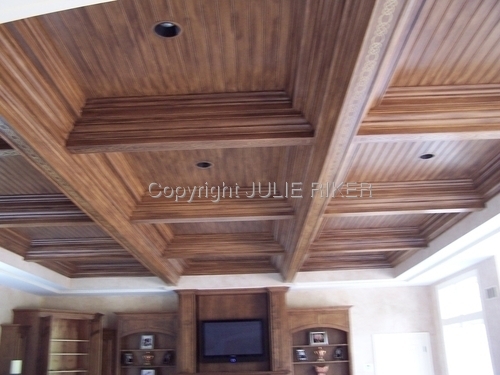 Graining on ceilng bead board and beams to match cabinetry. 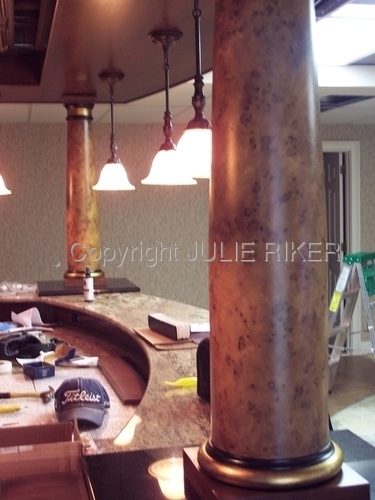 A gold stencil detail was added to the beams. 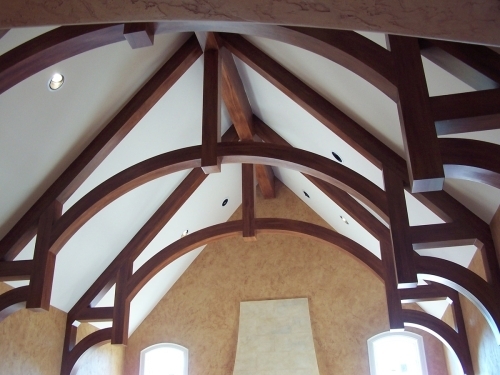 Ceiling beams built from sustainable lumber were painted to resemble mahogany wood. 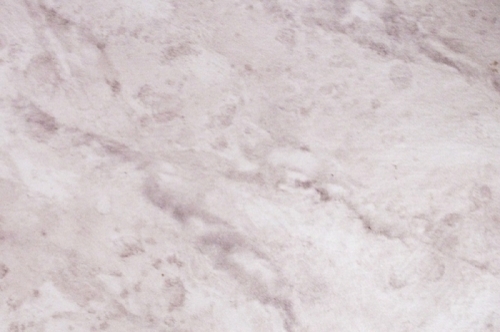 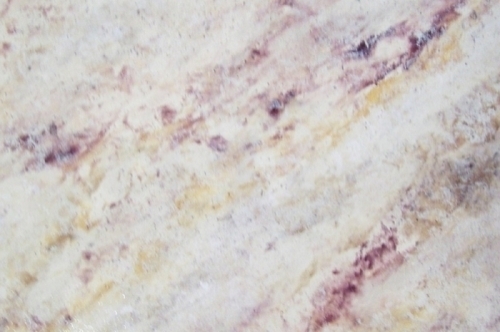 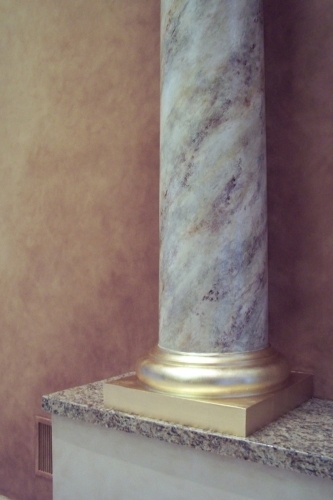 Marble finish on columns and bases. 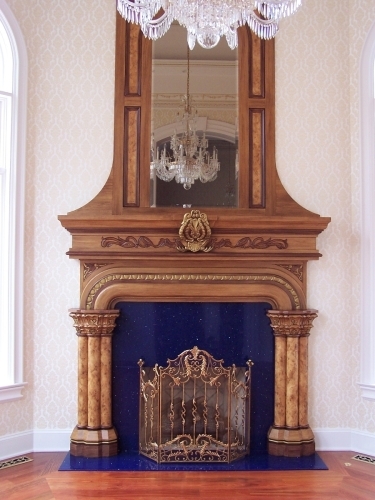 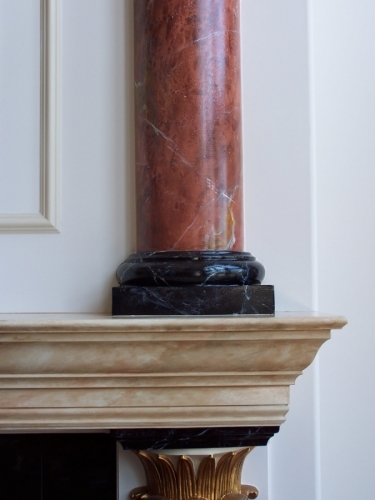 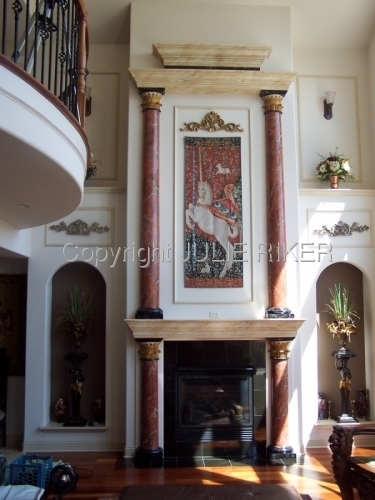 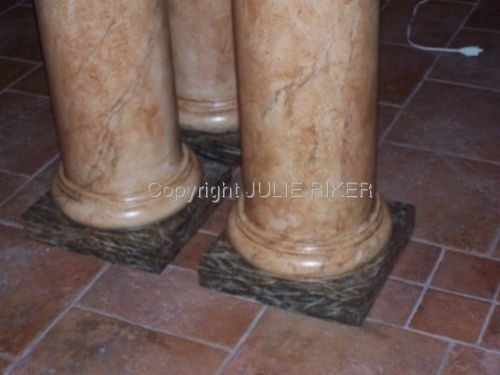 Columns surrounding fireplace marbled to imitate Spanish Rosa, bases painted in a black accent marble, and upper and lower mantles marbled in a cream color.